Patients with rheumatoid arthritis, a common form of inflammatory arthritis, are at a higher risk for development of metabolic syndrome. This article outlines the link between metabolic syndrome and rheumatoid arthritis. Arthritis, a disease characterized by inflammation of joints, is a painful and debilitating disease that is associated with joint stiffness and pain. There are more than a 100 different form of arthritis, the major categories of which include degenerative arthritis (osteoarthritis), inflammatory or autoimmune arthritis, infectious (septic) arthritis and metabolic arthritis. One of the most common subtypes of arthritis is rheumatoid arthritis. It is a type of inflammatory arthritis that is so common that studies estimate it affects up to one percent of the world’s population. Patients with rheumatoid arthritis are at a higher risk for developing several complications, including a disease known as metabolic syndrome. Metabolic syndrome refers to a collection of risk factors, including high blood pressure, high blood sugar, excess fat around the waist, and abnormal cholesterol levels, that predispose patients to develop heart dispose, stroke and diabetes. Patients with rheumatoid arthritis who have metabolic syndrome have a three-fold increase in their risk of developing cardiovascular disease, and are also more likely to die from cardiovascular disease. In fact, cardiovascular disease is known to be the major cause of death in patients with rheumatoid arthritis. Furthermore, patients with metabolic syndrome have a four-fold higher risk of developing diabetes. Therefore, it is important to be able to recognize and diagnose metabolic syndrome in rheumatoid arthritis patients. What should you know about the link between rheumatoid arthritis and metabolic syndrome? Rheumatoid arthritis and metabolic syndrome are both diseases that individually increase the risk of developing cardiovascular disease. When looking at specific individual components that make up metabolic syndrome, such as increased waist circumference, high blood pressure and high blood glucose levels, each of these are more prevalent in patients with rheumatoid arthritis compared to the general population. Studies have shown that patients with rheumatoid arthritis have a higher frequency of insulin resistance and metabolic syndrome compared to the general population. The frequency of metabolic syndrome in patients with rheumatoid arthritis ranges from 14 to 56 percent. The strength of the association between rheumatoid arthritis and metabolic syndrome differs between patients that have long-term rheumatoid arthritis compared to patients that are in the early stages of the disease. In patients with early rheumatoid arthritis, the prevalence of metabolic syndrome is 16 to 31 percent, while patients with long-term rheumatoid arthritis have almost two-fold higher risk of developing metabolic syndrome compared to healthy patients. The significant variation in levels of metabolic syndrome in patients with rheumatoid arthritis (14-56 percent) depends on differences in ethnicity, geographic area, study design, and study population. Metabolic syndrome in patients with rheumatoid arthritis is independent of gender and body mass index. However, the level of variation in prevalence of metabolic syndrome could potentially be attributed to variation in body fat percentage and weight. In women with rheumatoid arthritis, the independent risk factors for the development of metabolic syndrome include a high erythrocyte sedimentation rate (indicative of inflammation), joint disease activity score, health assessment questionnaire score and decreased use of methotrexate (an anti-rheumatic drug). There is a high level of correlation between the disease activity levels of rheumatoid arthritis and the presence of metabolic syndrome. In fact, the risk of moderate to high disease activity in patients with rheumatoid arthritis is nine times higher in patients with metabolic syndrome compared to patients with rheumatoid arthritis who do not have metabolic syndrome. With regards to the markers of cardiovascular disease in patients with rheumatoid arthritis, patients with rheumatoid arthritis and metabolic syndrome are more likely to have increased thickness of blood vessels (which can lead to a heart attack or stroke) compared to rheumatoid arthritis patients without metabolic syndrome. The reason why patients with rheumatoid arthritis have an increased prevalence of metabolic syndrome is not exactly clear. However, researchers suggest that high levels of inflammation in patients with rheumatoid arthritis contribute to the development of metabolic syndrome. Studies have shown that patients with rheumatoid arthritis have high levels of inflammatory markers, such as C-reactive protein, that are associated with development of metabolic syndrome. In patients with rheumatoid arthritis, treatment with biologic agents was associated with a lower prevalence of metabolic syndrome. However, the difference was not statistically significant. Another factor that is common across patients with rheumatoid arthritis and metabolic syndrome is abnormal levels of “bad” cholesterol and an abnormal lipid (fat) profile. These lipid changes actually occur at least 10 years before the onset of rheumatoid arthritis. As abnormal levels of lipids are a classic characteristic of metabolic syndrome, this is another reason that metabolic syndrome develops in patients with rheumatoid arthritis. Rheumatoid arthritis patients also have lower insulin sensitivity, which correlates with C-reactive protein levels. Lower insulin sensitivity and high c-reactive protein leads to metabolic syndrome development. Glucocorticoids are a type of drug known to have beneficial effects in controlling rheumatoid inflammation. However, long-term use of glucocorticoids does not appear to affect the development of metabolic syndrome in rheumatoid arthritis patients. Etanercept, a type of drug known as a TNF-alpha inhibitor, has been shown to improve inflammatory markers that are associated with metabolic syndrome. 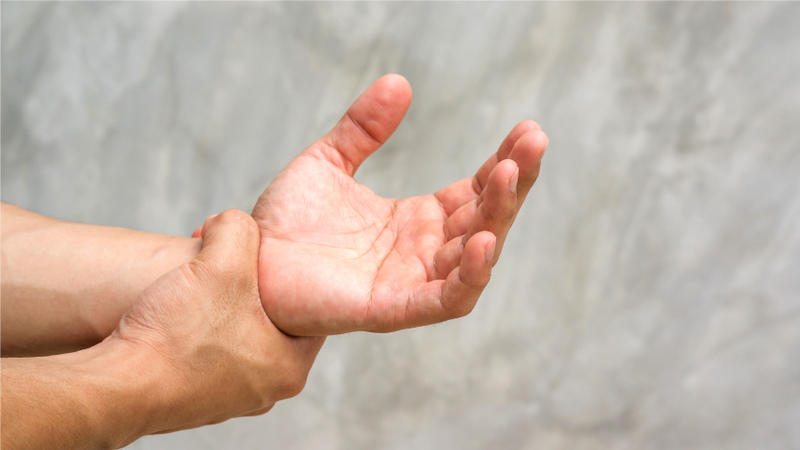 Patients with rheumatoid arthritis are sometimes prescribed TNF-alpha inhibitor inhibitors. The lifestyle factors that can help treat both rheumatoid arthritis and metabolic syndrome including smoking cessation, weight reduction and exercise. Kerekes, György, et al. "Rheumatoid arthritis and metabolic syndrome." Nature Reviews Rheumatology 10.11 (2014): 691.